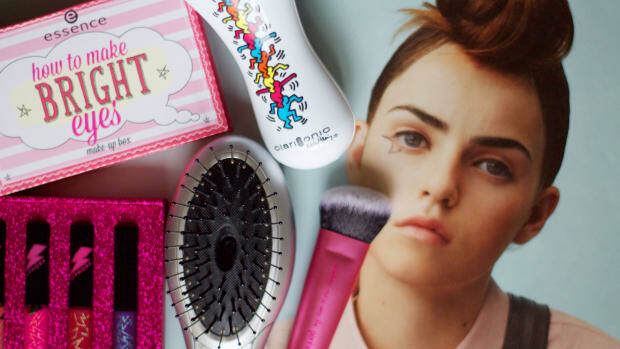 When it comes to beauty gifts, skincare products make pretty ideal ones. Unlike makeup and fragrance, you don&apos;t have to worry about different skin tones and body chemistries. And as long as you stick with general moisturizing/brightening stuff (not anything to do with acne or wrinkles), your recipient is sure to appreciate a little complexion pampering. 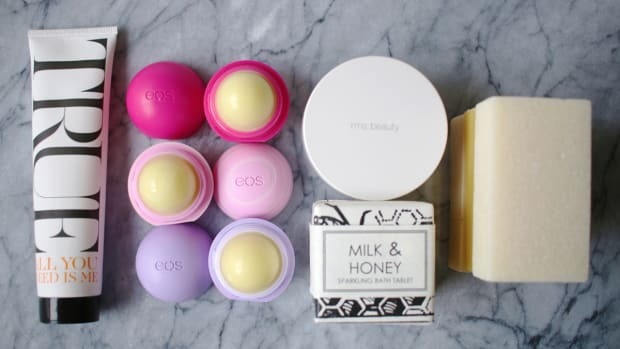 Heck, you might even want to stock up for yourself. 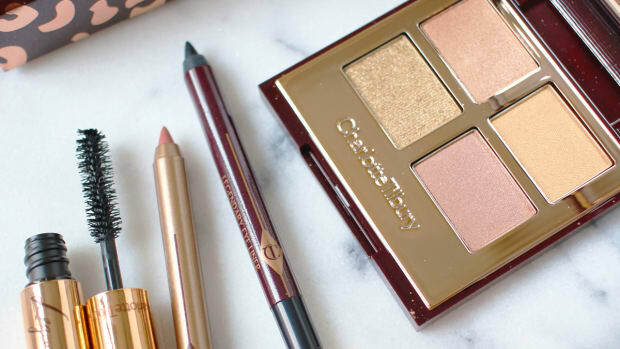 Below, I&apos;ve rounded up the latest, most amazing gift sets from cult-favourite brands—they offer so much more bang for your buck than if you were to purchase everything individually! Dr. Jart+ Masking All the Way. Nothing says "indulgence" like a wardrobe of sheet and hydrogel masks. 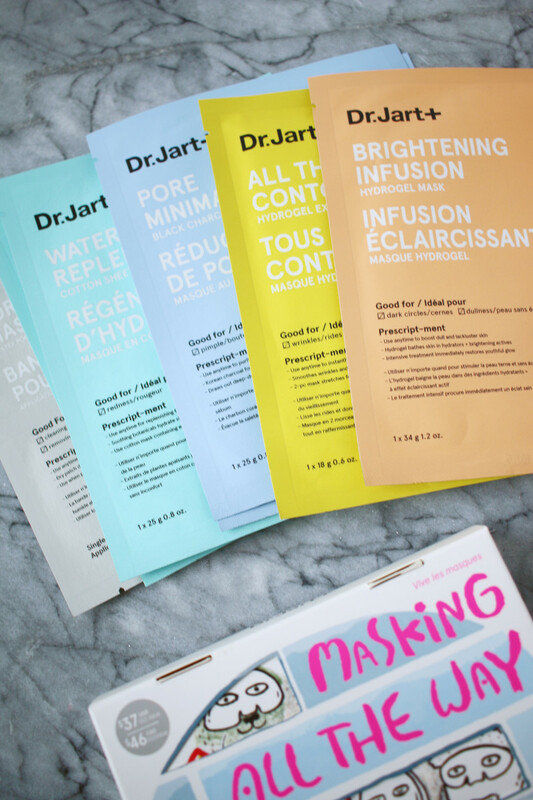 The Dr. Jart+ Masking All the Way set includes seven of them, suitable for all skin types. Water Replenishment quenches dehydration; Brightening Infusion boosts radiance; All That Contours targets wrinkles and sagging; Pore Minimalist tightens pores; and the Pore Master Patch treats congestion and blackheads. 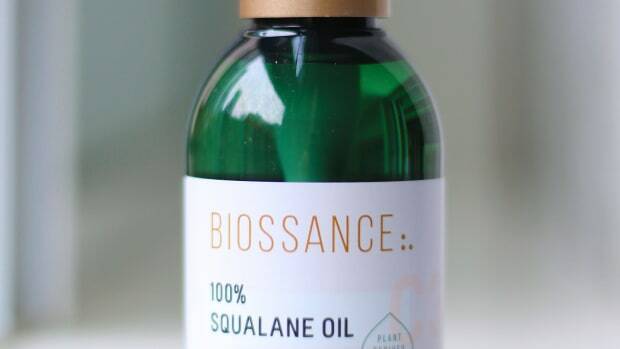 They&apos;re all free of artificial fragrance, mineral oil, propylene glycol and denatured alcohol. 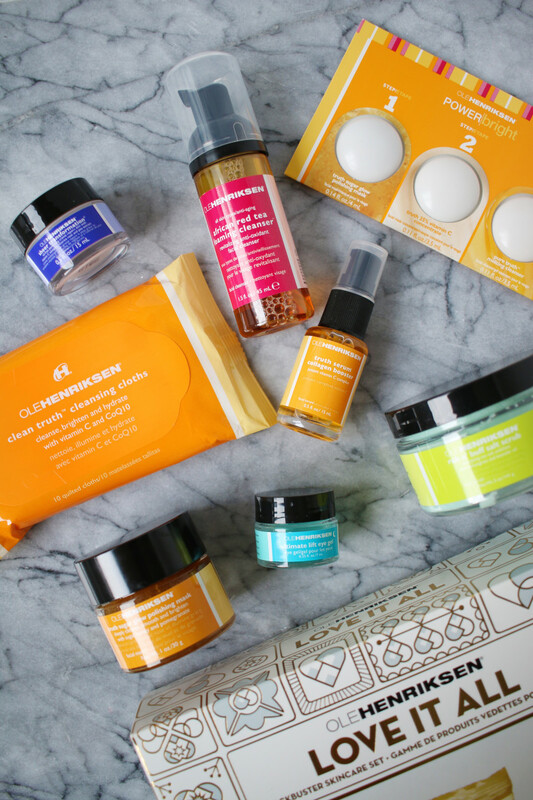 Ole Henriksen Love It All Blockbuster Skincare Set. If you know someone who is looking for a good skin regimen, the Ole Henriksen Love It All Blockbuster Skincare Set offers a complete step-by-step routine. 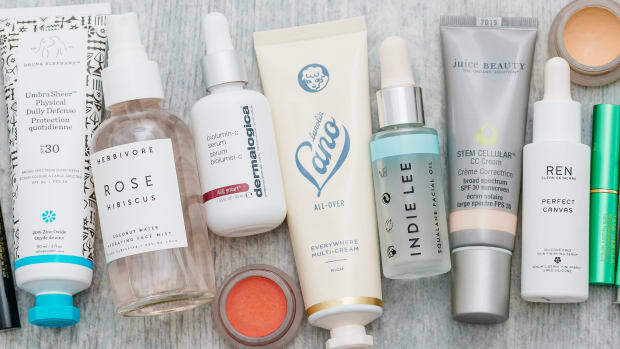 It features eight of the brand&apos;s most popular essentials for glowing skin, from cleanser to moisturizer to brightening treatment. 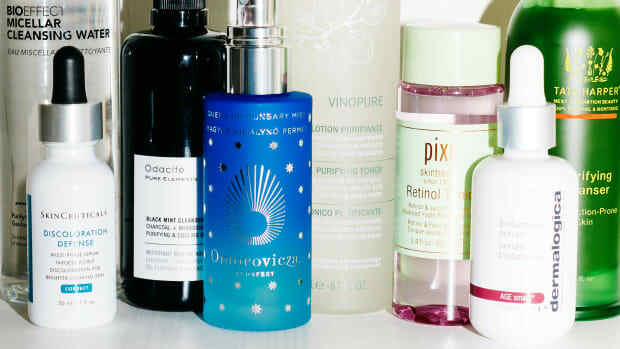 My favourites include the Truth Serum antioxidant vitamin C serum; the African Red Tea Foaming Cleanser (it&apos;s sulfate-free! ); and the refreshing Ultimate Lift Eye Gel. If you haven&apos;t tried this line before, know that it&apos;s great quality, with beautiful textures and a signature citrus-vanilla scent. 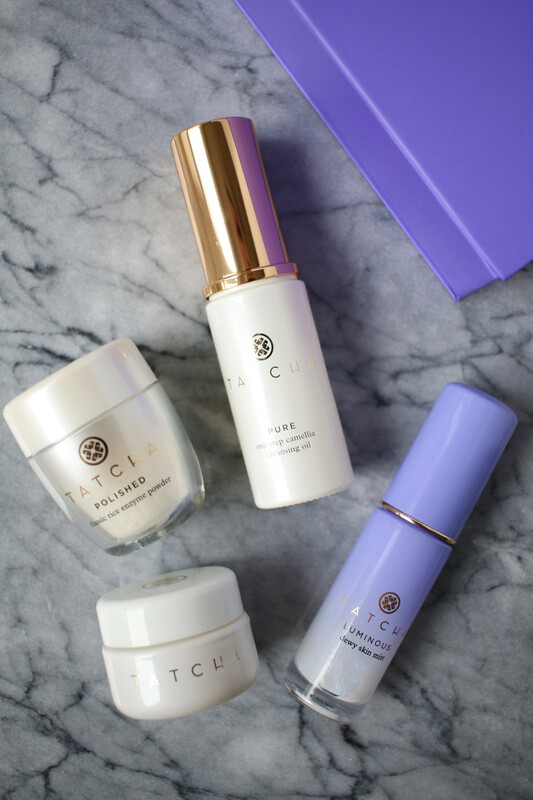 The most luxurious gift on this list is, without a doubt, the Tatcha Bestsellers Set. Anyone with an eye for detail will appreciate opening up the pretty, Japanese-inspired packaging. Inside, find their four top products. The Cleansing Oil is a camellia-based makeup remover; the Rice Enzyme Powder is an exfoliator with crushed pearl and papaya extracts; the Moisture Cream is a nourishing gel-cream; and the Dewy Skin Mist is a hydrating mist for instant luminosity. If you&apos;ve been curious about the brand, this is the best time to try it out. 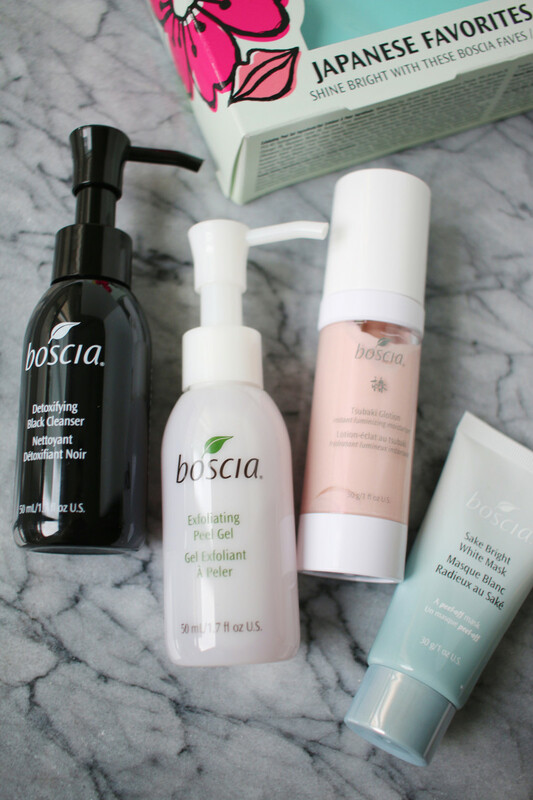 Also inspired by Asian beauty rituals is the four-piece Boscia Japanese Favorites kit. 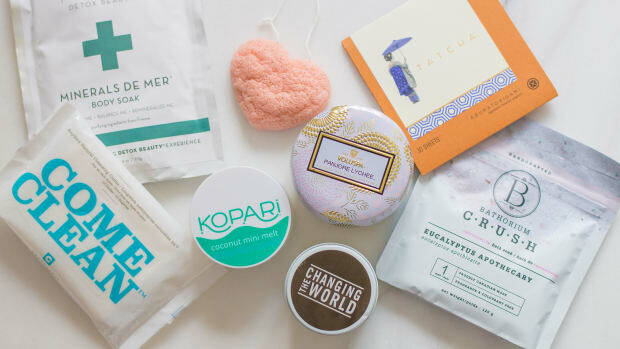 I&apos;ve long been a fan of their cleansers and masks; this brand also has a lot of fun and unique skincare concepts that you won&apos;t find anywhere else. Case in point: the sulfate-free Cleanser, which heats on contact for a deeper cleanse; and the Exfoliating Peel Gel, which works as an acid peel, enzyme peel and gentle scrub. The Sake Mask helps treat dullness, while the Tsubaki Glotion has natural light-reflecting pigments to subtly luminize. Kate Somerville Cult Favorites Kit. 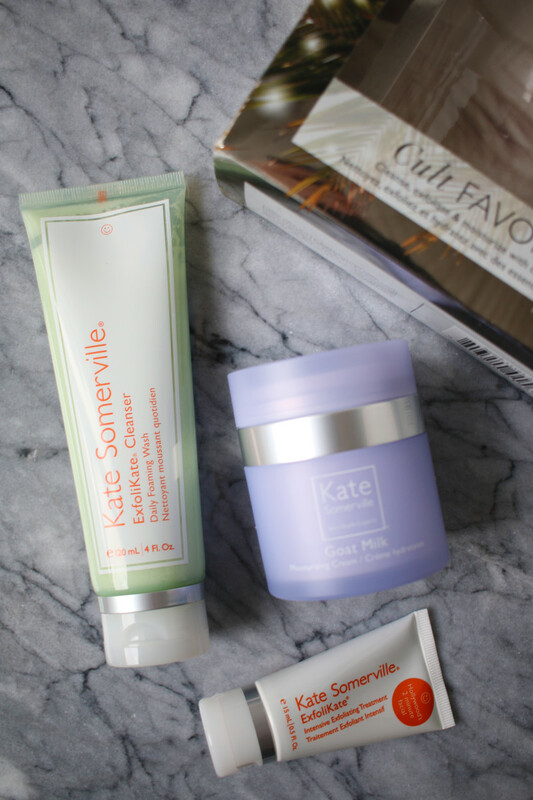 Anyone looking to emulate a celebrity skincare routine should look no further than the Kate Somerville Cult Favorites Kit. You get three of the Hollywood facialist&apos;s most-loved products—and if they work for her famous clientele, they&apos;re good enough for us! Her biggest claim to fame is the ExfoliKate lactic acid and fruit enzyme scrub. You also get a full-sized Cleanser and full-sized Goat Milk moisturizer. The Fresh Skincare Treasures set offers a little bit of everything: luscious textures and scents, advanced ingredients and chic packaging. There&apos;s even one of their amazing tinted Lip Treatments in here (in Sugar Rosé)! 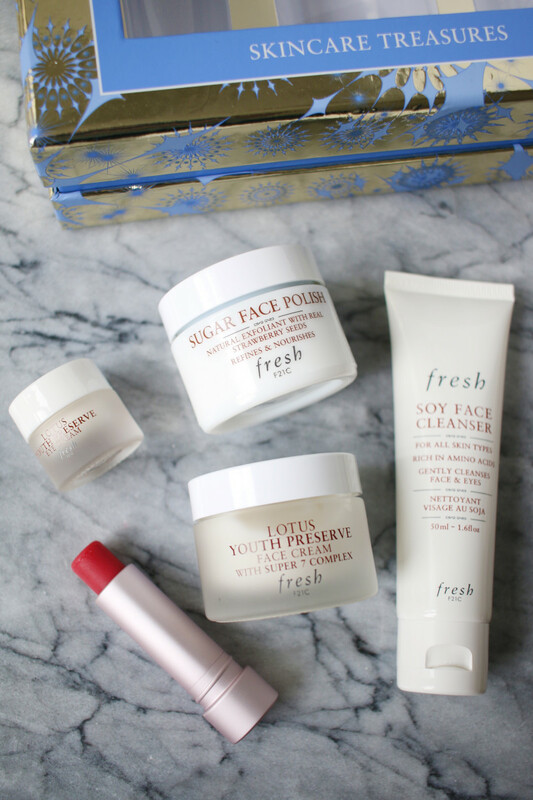 As for skincare, you get a sulfate-free Soy Cleanser; a lightweight, illuminating Lotus Eye Cream; a matching Lotus Face Cream; and a Sugar Face Polish made with real brown sugar. 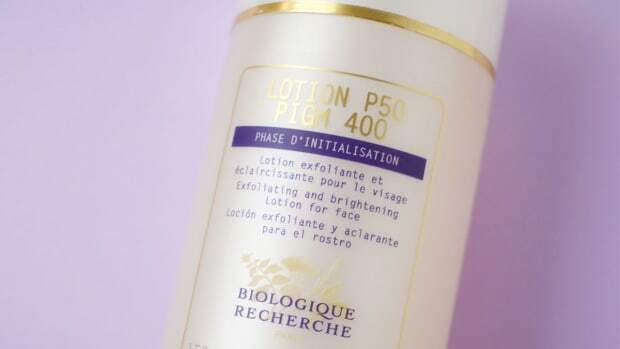 This brand truly turns your skincare routine into a sensorial experience. Too Cool For School 1/2 Dozen Egg Cream Mask. 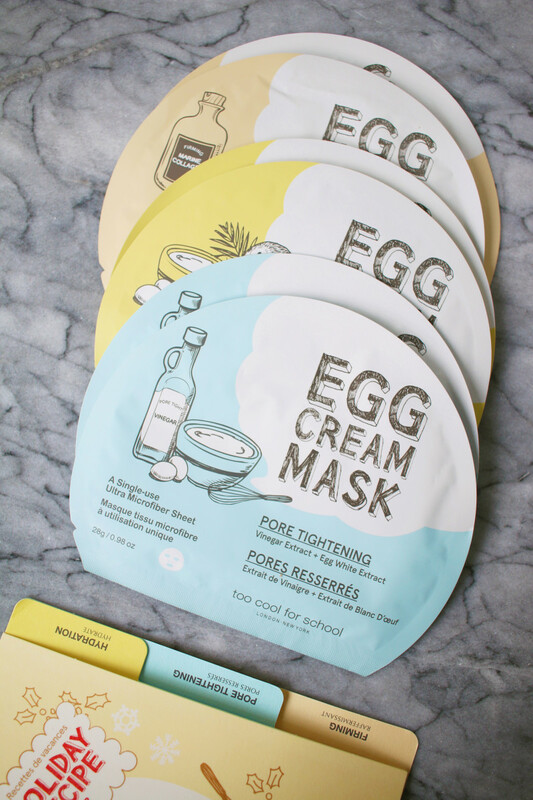 It doesn&apos;t get cuter than the Too Cool For School 1/2 Dozen Egg Cream Mask set—the selection of six sheet masks comes in a mock holiday recipe holder. 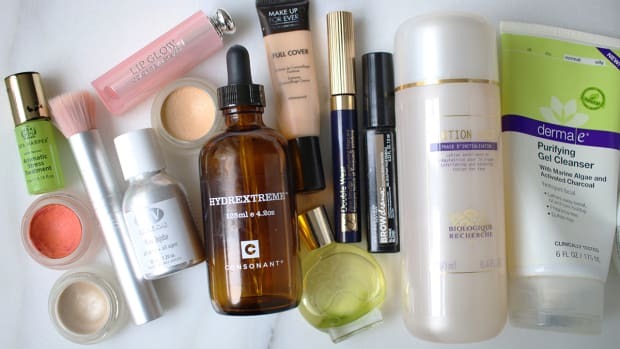 I&apos;m also a sucker for the concept of putting egg extracts, coconut water and niacinamide on my skin! (Although, to be clear, the ingredients aren&apos;t all natural.) The mask types include Hydration, Pore Tightening and Firming, all hypoallergenic and made with microfiber sheets. Two things that can make an immediate positive difference to your skin are double-cleansing and exfoliating. 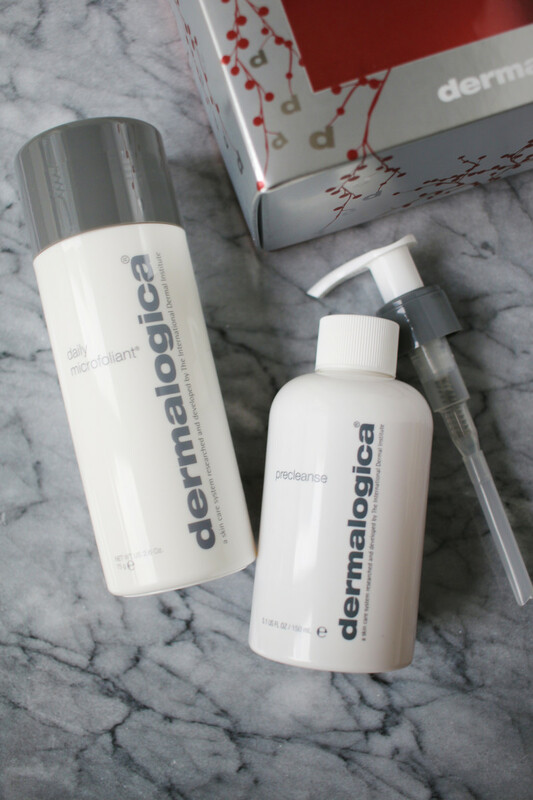 And the perfect kit to start these new habits is the Dermalogica Best-Selling Brightening Duo. Inside is a full-sized PreCleanse, a cleansing oil that melts away stubborn makeup (follow up with a regular cleanser). You also get a full-sized Daily Microfoliant, their beloved powder enzyme and salicylic acid exfoliator that gently buffs off dead skin cells. Both can produce major results! These skincare gift sets offer cult products at great value. 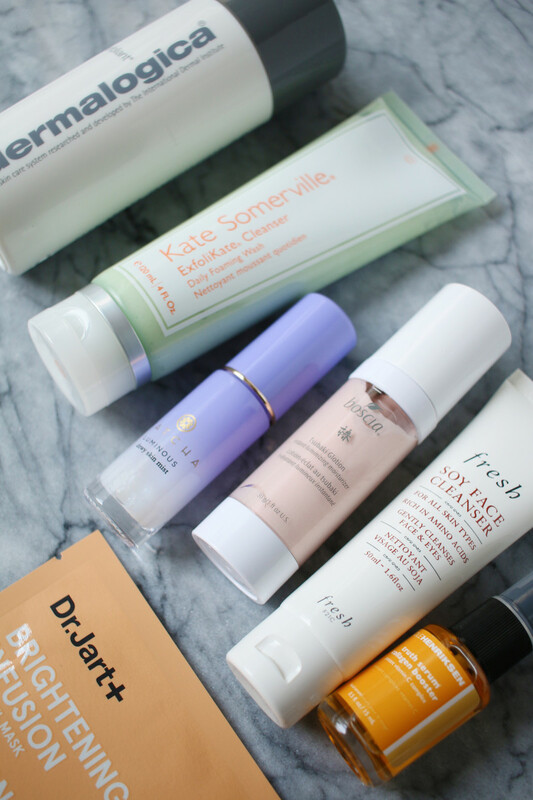 No matter what your complexion needs, this is a great time to score a deal, try a brand you&apos;ve been dying to own—or gift some skincare love to a friend! Remember, many of these are limited-edition sets, so grab &apos;em now while you can! 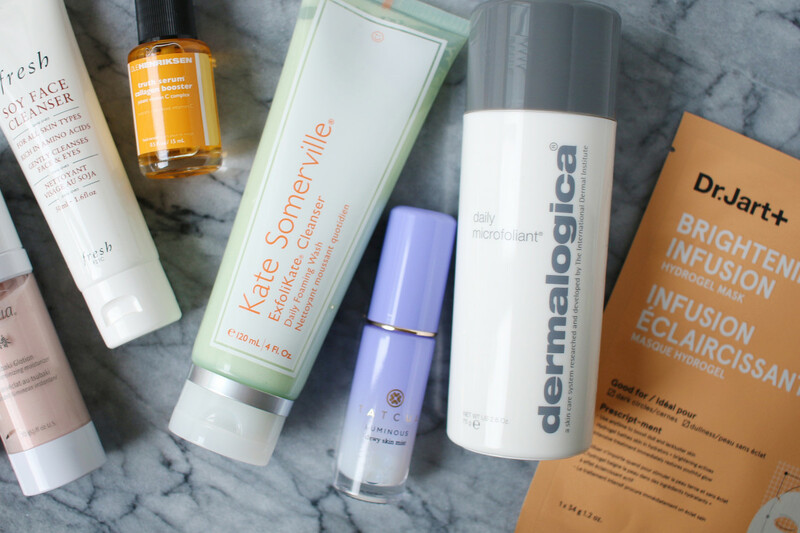 Are you investing in any skincare sets?